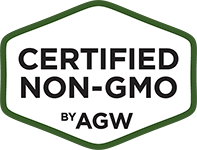 Ronald Simmons farms 30 acres of land near Kenansville, North Carolina, where he raises Certified Animal Welfare Approved by A Greener World (AGW) pigs with the help of his wife, Laurita, his daughter, Amaya Sloan, and in-laws, James and Helen McGowan. Ronald and the team at Master Blend Family Farms is passionate about giving back to their community and supports local children in a variety of ways, such as hosting farm visits by groups from FFA and 4-H.
Ronald has also received multiple awards of the years for his dedication to his farm and community. In January of 2017, Master Blend Family Farms was presented the Dr. Martin Luther King Entrepreneur of the Year Award by the Duplin county Progressive Leadership Organization. This award is based on the conduct displayed in the community through acts of volunteer works and discipline shown throughout the course of business involvement. 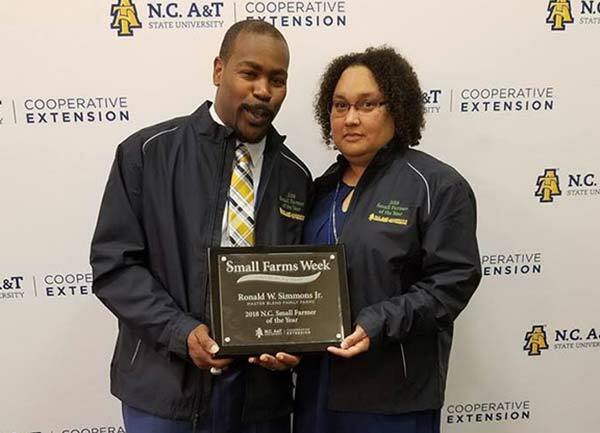 Most recently, Ronald was awarded NC’s 2018 Small Farmer of the Year by NC A&T University in recognition of his contribution to North Carolina agriculture and, in particular, his work with the local community and local children, hosting farm visits by groups from FFA and 4-H. Ronald is also an active member of NC Goodness Grows, Duplin County’s Cooperative Extension Advisory Committee and the NC Pork Council. 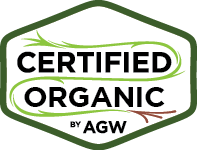 Master Blend Family Farms opened their on-site Country Store in December 2015, where customers can find Certified Animal Welfare Approved by AGW pork products, as well as many items from other local farmers, including vegetables, honey supplied by the local beekeepers and much more. Stay up to date on the farm through their Facebook, Twitter, Instagram and Yelp accounts. For more information about Master Blend Family Farms, visit masterblendfarms.webs.com. Willie Nelson appeared on CNN yesterday, talking about Farm Aid and the struggle of America's family farms. In this clip, he also performs a new song to be premiered at Farm Aid, which he co-authored with Bob Dylan. 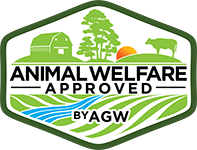 Animal Welfare staff members and three Animal Welfare Approved farmers are on hand at Farm Aid this weekend to spread the word about the benefits of pasture-based farming and high-welfare standards. 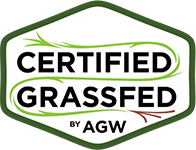 Hope to see you at the Homegrown Village and at tonight's Farm Aid Eve dinner where all of the pork and beef served will be from AWA farmers Fudge Family Farms (pork) and American Grass Fed Beef. Photo: Paul Natkin/Photo Reserve Inc. 2008 CLICK BLOG TITLE ABOVE TO SEE THE VIDEO.